VeryPDF Cloud OCR (WebOCR, Online OCR) REST API is a software that allows you to convert scanned PDF and images into editable Word, Text, Excel output formats. Batch convert PDF files to Word, Excel, Txt, RTF, and PDF documents. VeryPDF Cloud OCR (WebOCR, Online OCR) REST API is a cloud service API provided for developers. Developers can call the API to recognize character with (Optical Character Recognition) engine deployed on VeryPDF Cloud servers. The OCR engine supports input file formats of PDF, BMP, PNG, TIFF, JPEG, PCX and DCX. It can output the recognized text in file formats of HTML, RTF, DOC, XLS, and TXT. Instantly convert any PDF to 12 file formats. Convert any printable file to Excel. Convert multiple PDFs at once and save time. Edit PDF text on the spot. Split and merge PDF documents quickly and easily. Convert text and Images from your scanned PDF document into the editable DOC format. Converted documents look exactly like the original - tables, columns and graphics. Without installation on your computer. Recognize text and characters from PDF scanned documents (including multipage files), photographs and digital camera captured images. CONVERT SCANNED PDF TO WORD. Extract text from PDF and images (JPG, BMP, TIFF, GIF) and convert into editable Word, Excel and Text output formats. Create searchable PDFs from scans. Convert table images to Microsoft Excel. Convert PDF documents to Microsoft Word. OCR Scanned PDF to Editable Format. Accurate, Fast & Simple. Go Paperless! This entry was posted in VeryPDF Cloud API and tagged cloud API, cloud ocr, cloudocr, online ocr, onlineocr, webocr. Bookmark the permalink. WebOCR or OnlineOCR is a new development initiated to meet a bigger volume and superior group of users. Internet and broadband technologies have made OnlineOCR easily accessible to both individual users and corporate users. 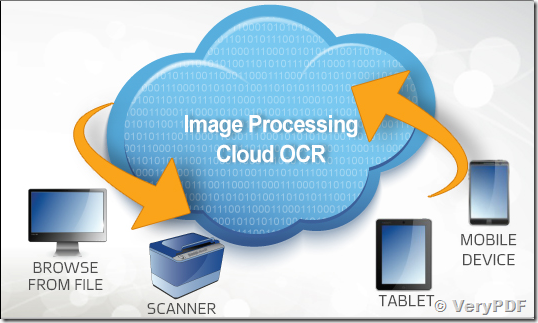 Since 2000, some of the most popular OCR vendors began offering WebOCR and online picture to text software.